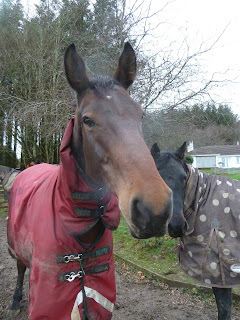 Though Dave arrived here last week and has featured on the blog already, its only today that I've managed to fit in his hoof pics. As you can see, the sheer size of Dave's feet means I've had to take photos further away than normal just to fit him in...I've posted these because even just looking at the sole shots together gives interesting clues to what has been happening in his feet. If you were asked to guess which foot had been lamest, you'd be safe putting money on the RF (upper photo) for several reasons. By comparison with his LF, the frog is weaker and the medial side of frog, heels and sole look less developed than the lateral side. His foot also looks as if its twisted on the end of the limb whereas the LF looks straighter. Most of us would immediately point to the lower photo (LF) being the healthier foot. Its more symmetrical, has a more evenly loaded frog and looks straighter on the limb. Sure enough, Dave has been lame on his RF but not his LF and when filmed is landing on the lateral edge of his RF. Interestingly, on MRI many of the apparent problems were found to be bilateral (collateral and impar ligament damage, pedal osteitis, sidebone) even though he wasn't lame on his LF. However there was bruising and a possible fracture of the medial palmar process of the coffin bone on the RF which would fit with what we can still see in the photos. Hooves rarely lie and are incredibly adaptive. They aren't static but are responding, remodelling and developing (or not) in response to the stimulus they receive and the load they are being required to transmit. 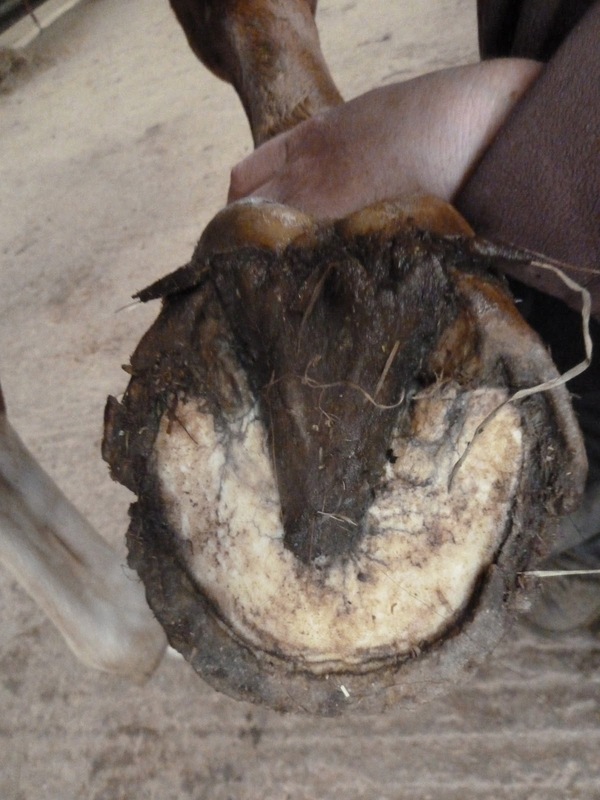 There is always a reason for asymmetry and imbalanced loading and its very often apparent from the outside of the hoof. Buddy has only been here just under 2 weeks but I took advantage of some better weather yesterday to grab some interesting comparison photos. Buddy had pulled off his remedial shoes before travelling down here but here are his feet on day one. You can see the contraction at the heels and the pinched frog and his heels are also under-run. What's harder to see from this angle is that his feet are also very flat, with shallow collateral grooves and a sole which has no concavity whatsoever. Here is the same foot today and its already beginning to re-shape. This is his "sound" foot and the one he was landing better on when he arrived, so its no surprise that his frog is healthier and his heels - though still under-run - are more functional and starting to de-contract. His feet are still flat but are slowly developing a healthier shape. Here is his worse foot - the RF - on day one. A similar story to the LF but more extreme - a worse frog and even weaker heels and sole - and very flat. He was landing toe first on this foot and it shows. The same foot 10 days later. 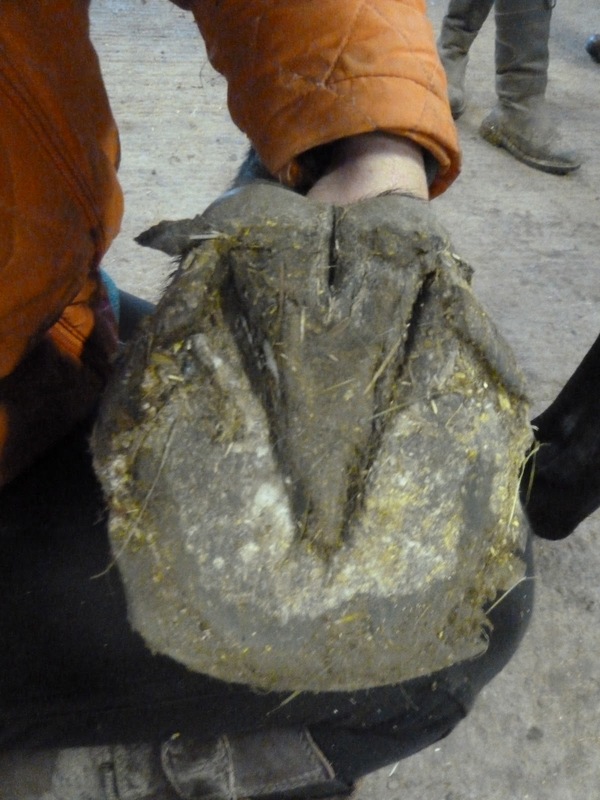 As is often the case, the frog is the first to start to change, which is encouraging as it shows us that he is becoming more able to engage the palmar hoof - fewer toe first landings. This is the first step to growing a healthier, better balanced hoof and although its early days its nice to have some encouragement that Buddy is heading in the right direction. Quick lateral shot for comparison (tip: look at the hairlines). Like many horses, Buddy thought he hated having his legs washed until he realised the water was warm(! 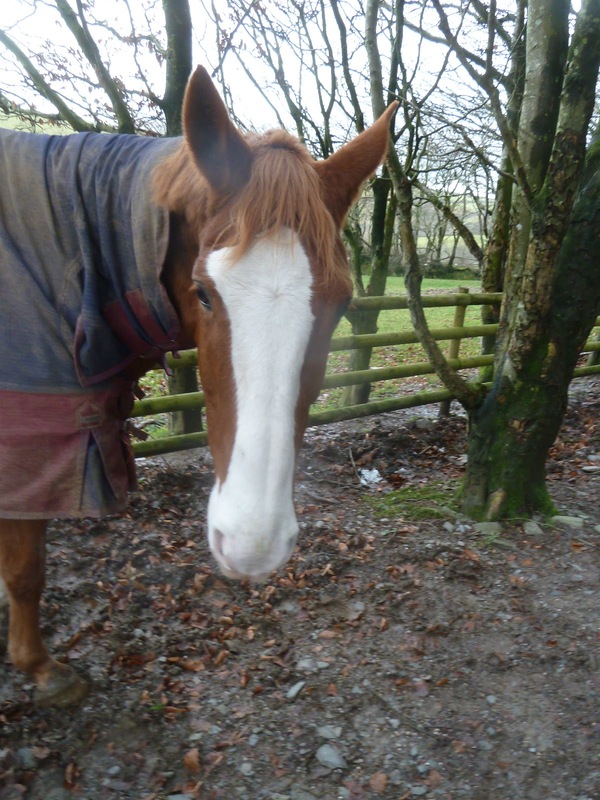 )...so at least clean hoof pics are now an option! Well after a pretty wild few days and nights, we've got a brief respite today before the next bout of pants weather hits us. Of course, I'm not complaining because being high means at least we are in no danger of flooding, unlike many (I've seen the Facebook pics!). It is totally sodden, however, and even the tracks are wet in places - thank goodness we can use the tracks, though, because the fields wouldn't stand up to the horses on them at the moment. 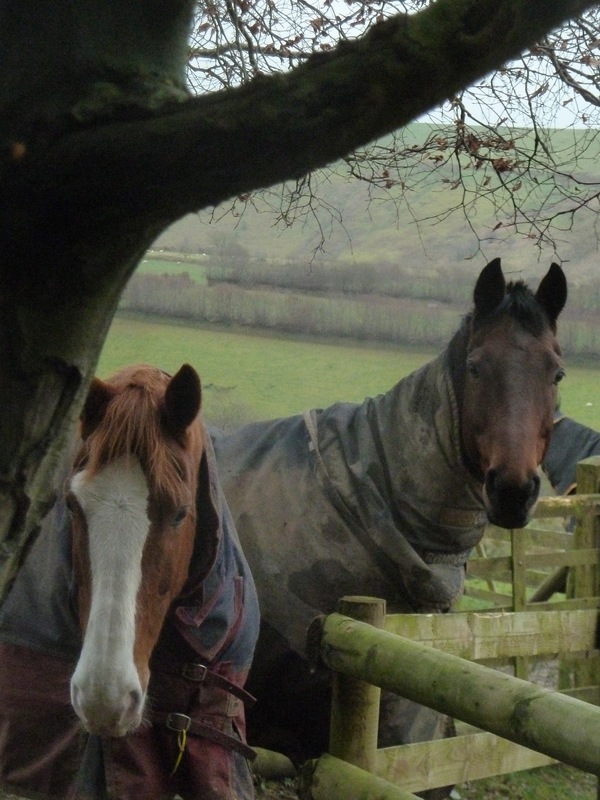 Sometimes I think the horses here are like a gang of ne'er-do-wells loitering on a street corner - they've even got hoodies on...Big Dave has settled in well and seems to enjoy hanging out with his new pals. 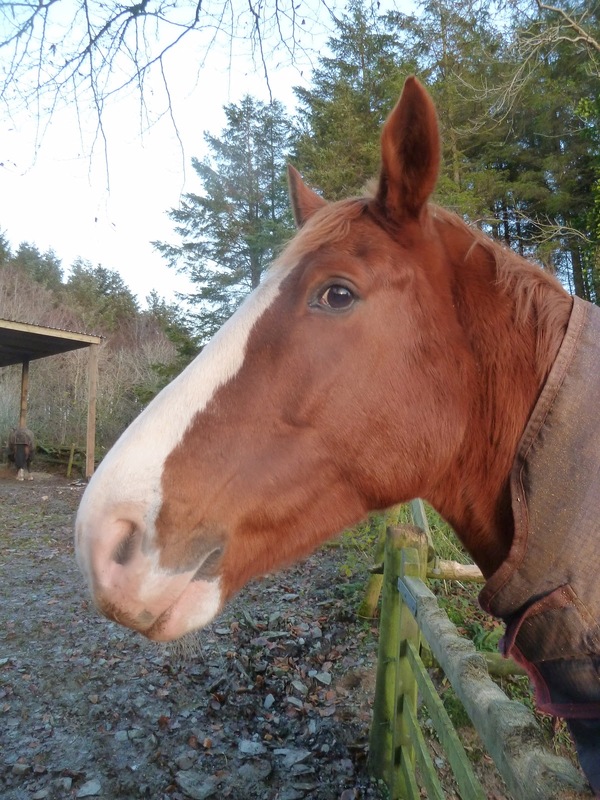 Rocky has now been here nearly 8 weeks and has been changing the medio-lateral balance of his hooves in a big way. 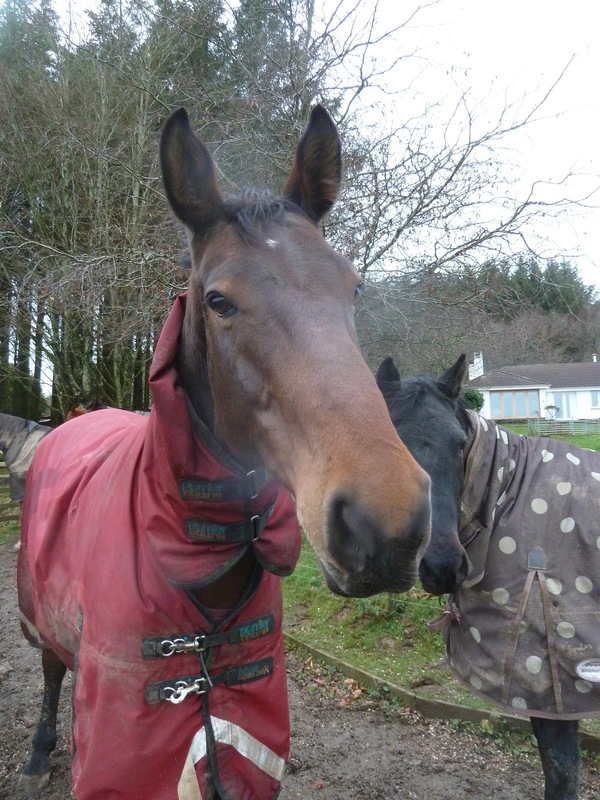 On MRI he was diagnosed as having damage to his DDFT and impar ligament, navicular fibrocartilage and bursa. As always, I find the best place to assess hoof balance is the sole view. The first photo is Rocky the day he arrived, having just pulled off his remedial shoes. As you can see, he has a pretty healthy frog but his foot is not symmetrical from this view, which hints that he is overloading the lateral side. His heels are also under-run - further forward than the widest point of the frog. A few weeks later and his frog is shedding, his heels are moving back and his foot is starting to look more balanced and symmetrical. As of yesterday, this is how the same foot looks. 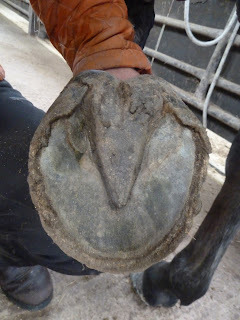 The heels are still a bit under-run but are in a better place and a line drawn through his frog would leave the medial and lateral sides looking much more symmetrical than on day one. From the lateral view, lots of growth and at a tighter, healthier angle with the nail holes almost gone. From this angle the areas to focus on are the length of the walls (the lateral side is much longer in the photo from day one, but more even today) and the outline of the digital cushion. The angles of the shots are slightly different but again the 2 halves are more symmetrical and even than they were on arrival. 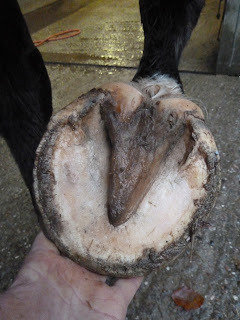 As you know, I never worry about symmetry from the top or the front as long as I have it where it counts - where the foot meets the ground :-) As with all the horses here these changes aren't a result of trimming but of the hoof being allowed to function more healthily. Form always follows function! I meant to put Alfie the Morgan's update on the blog yesterday but was short of photos that were actually visible in the Stygian gloom that was Rockley over the last few days. Yesterday things improved and I managed to take some more useful photos. Here is Alfie's LF the day he arrived and below, after 6 weeks. As so often happens, its only when I put the photos up here that I realise how dramatic the changes have been - and its something I never get tired of seeing. The proportions of his foot are completely different out of shoes and its a pleasure to see him stomping about on his tough little feet. As well as the shorter toe look how much more level the hairline has become - and his foot getting to be properly underneath him again as well as beefing up behind. Alfie already had a good frog and digital cushion but look at the difference in how it works out of shoes. He hasn't been trimmed and this is simply how his foot should load if he is landing correctly. I know its late...but its BIG! ...but only after I've managed to take new pics as the ones I took yesterday were so dark its hard to tell whether it was hooves or just the night that I was photographing...Off to try again but torrential rain isn't helping...! A quick post but an important one, today. Normal service will resume shortly! 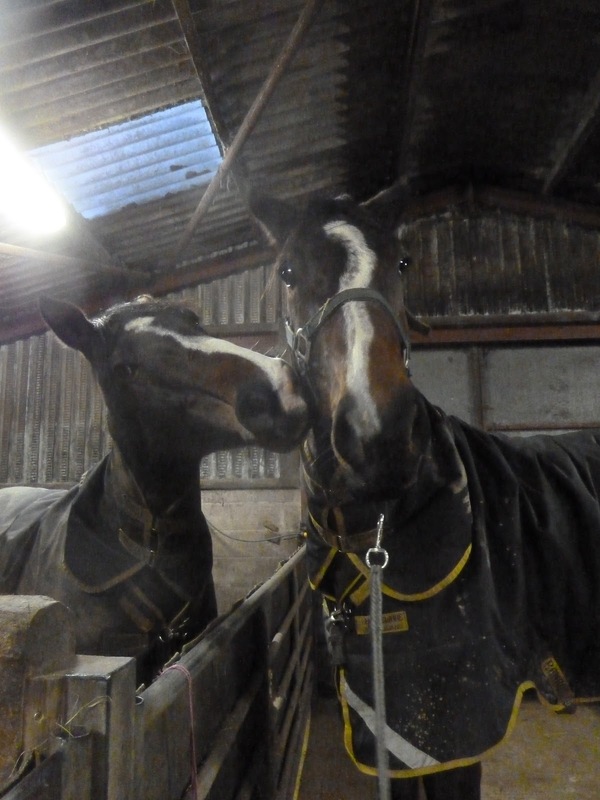 As many of you are probably already aware, there has been an outbreak of EHV-1 confirmed at a racing yard a few miles away from us in north Devon. We heard of the outbreak last week and there is more information from the BBC here: http://www.bbc.co.uk/news/uk-england-devon-20363114 and from BEVA. Very fortunately (and unusually!) 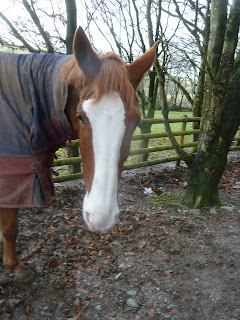 none of our own horses have been out hunting or had any contact with horses from outside Rockley for the last 2 weeks. 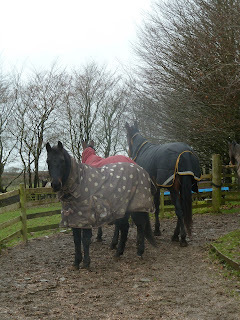 Equally fortunately, the horses scheduled to arrive here are all from several hundred miles away and "no-risk" areas, so we have been very lucky. The racing yard is hopeful it has been contained but at present its not clear whether the virus has spread to any other horses in the area. 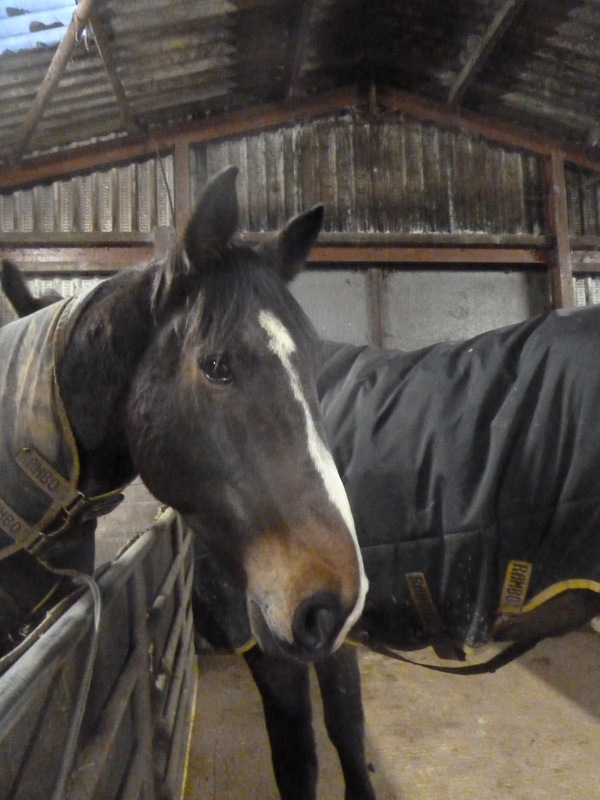 As a precaution, all hunting has been cancelled for now and those who have bridleways running over their land have asked riders not to use them at the moment. I'll update you if anything changes but it sounds as if everyone has acted very quickly - lets hope it has already been dealt with. To be on the safe side, of course, we won't be letting the horses here come into contact with any "outside" horses until we are absolutely positive that there is no risk of infection. New boy Buddy arrived on Friday afternoon and its getting dark so early that its difficult to get photos with anything approaching decent light. Sensibly, he had pulled off his bar shoes just before he came down. His lameness is relatively mild and has been caught early but on x-ray he has navicular and pedal bone degeneration. As you can see, he has very flat feet and rather contracted, under-run heels. The lateral photos also shows quite a bulge in the hairline at the quarters and even at this angle you can see that there is very little fibrocartilage supporting the back of his foot and he has a weak digital cushion. There is a similar story of course on both feet and lots of chipping where he has just pulled his shoes off as well as some event lines at the top of the foot. Both his owner and I have a feeling that his feet will change pretty quickly, so let's hope we are both right! Yesterday's post was a letter to one sort of vet but today I am delighted to report that my latest contact is - or will be - quite a different sort of vet. The student I mentioned, who had got in touch, is putting together a final year research project and as well as looking at shod feet it will look at bare feet too. Of course I've said I am delighted to help in any way I can and its great to think that the Royal Veterinary College are throwing their (not inconsiderable) weight behind the drive for evidence-based veterinary medicine. This is great news, and more power to both of their arms! "I PROMISE AND SOLEMNLY DECLARE that I will pursue the work of my profession with integrity and accept my responsibilities to the public, my clients, the profession and the Royal College of Veterinary Surgeons, and that, ABOVE ALL, my constant endeavour will be to ensure the health and welfare of animals committed to my care." Your profession has been given an absolute legal responsibility for diagnosing and treating animals - a vet is the ONLY person who may do this in the UK. Your profession gives you unassailable authority (no matter what your personal level of experience or interest). That gives you incredible rights - and also incredible responsibility. Let's talk for a minute about evidence based medicine. This is a term which you vets have borrowed from human medical practice and its something which your governing body is actively promoting. Evidence based medicine is: "the use of current best evidence in making decisions about the care of individual patients...[it] means integrating individual clinical expertise with the best available external clinical evidence from systematic research." This is a pretty rigorous approach to clinical practice. It requires curiosity, analysis and a willingness to question not only the professionals with whom you work but the outcomes of your own practice. Randomised controlled trials (or RCTs - the "gold standard" which the article describes) are much less common in veterinary medicine than in the human field and are likely to remain so. However, there are other effective ways of gathering evidence. The RCVS states:"The fundamental tenet of Evidence-based Veterinary Medicine is that the practice of medicine should be based on valid, clinically relevant research data, whenever available. This is in preference to the traditional method of medical training—still in sway—that is weighted more toward authoritative “experts,” espousing their best judgments". In other words, what isn't adequate, particularly in this day and age, is to coast along and do the same as you've always done - what you were taught as a student or by a mentor - even if this is done with the best of intentions. 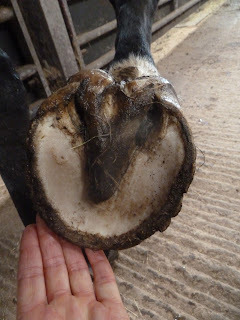 I know that you are taught nothing about barefoot at veterinary college (I know this because I had an email from a frustrated current student at the Royal Veterinary College last week) but honestly, its just not enough any more to ignore hooves simply because they are outside your comfort zone. 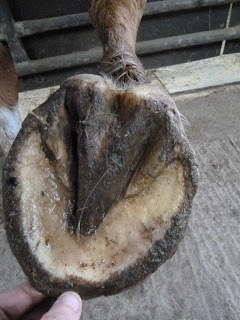 Nor is it acceptable to prescribe bar shoes and wedges in the face of evidence that they can cause hoof capsule damage and pain. I will hold my hands up and agree that there isn't much evidence which assesses barefoot horses at the moment - but I've been emailing updates from the blog to the vets of the horses here (many of whom have been extremely supportive) for years now and if you want the records of the horses who have been at Rockley you have only to ask. There is increasing evidence in the human field that barefoot is more therapeutic than unproven, untested, unresearched running shoes. You will also find that increasing numbers of your colleagues (including the author of this paper) are educating themselves about barefoot performance and discovering its benefits for hoof health. 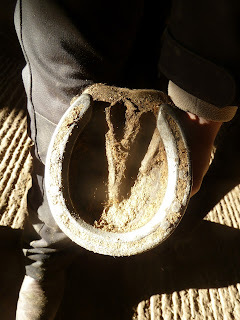 But when it comes to horses with pain in the back of the foot, DDFT and collateral ligament injuries and navicular bone damage (the sorts of horses we have here for rehab) then the research has been out there for years: http://www.ncbi.nlm.nih.gov/pubmed/15779622 and the outcomes with conventional treatments are poor. As the article above says, successful interventions for otherwise fatal conditions don't require RCTs so why wouldn't you at least consider the evidence for a different approach - particularly a non-invasive, reversible one - for a condition which so often means the end of the horse's working life? Its got to be better than a neurectomy or months of box rest, after all. I'm not saying there are guarantees, I am not saying that barefoot will always be successful and no-one would say it was easy (it does of course involve a lot more than just taking shoes off), but you should at least assess the evidence. No one will object to you comparing it to evidence for other therapies - in fact that is exactly what you ought to be doing - along with recording what is effective and what isn't. 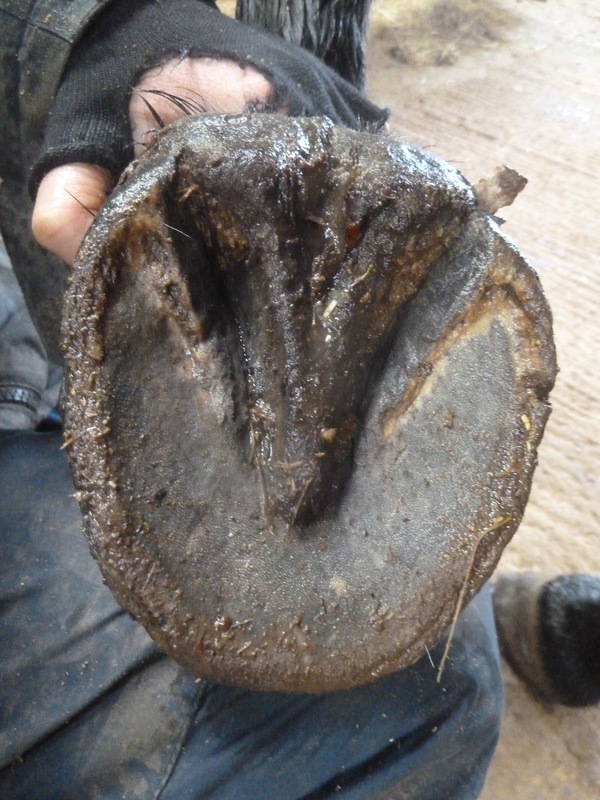 When you are considering hooves you need to look at how they are functioning, how they are loading, how and why they can change (don't neglect nutritional factors! ), whether they are working at the biomechanical optimum and how shoes or barefoot are affecting that before you exercise your undoubted power. Please be systematic and look at the evidence - don't just do what you have always done. Its tricky getting good photos because, of course, he is only 4 months old and though he is obliging about picking his feet up, he doesn't keep still for long. Shots from this angle are easier and you can already see some very distinct bands of growth. My best guess is that the lower ring is from when he first started to stomp about on his feet (at the beginning of July) and the band just over halfway down is when he came to Rockley, about 2 months ago. One of the most interesting things about foals is the shape of the foot - a completely different profile to an adult foot (in other words, wider at the top, narrower at the bottom rather than the opposite way). Over the first few months and years of a foal's life the foot changes and grows and I would expect comparative photos of Bryher this time next year to show a foot which is closer to an adult shape. But how does this happen? Prof Bob Bowker theorises that hooves don't simply grow down from the coronet but actually develop in response to movement and stimulus from the ground. This fits with the fact that - in humans - reproduction of cells in the epidermal layer of skin (in your fingertips and feet) can be triggered by friction and stimulus, resulting in thicker skin in these areas as a response. This is a unique response but if we realise that the horse's hoof is - anatomically - a digit then it makes sense that stimulus to the hoof will cause it to become more robust. If a hoof only grew from the coronet horses would retain the foal hoof shape throughout their lives. 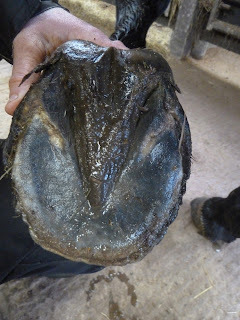 However if the cells of the hoof grow in response to ground stimulus too, it would make perfect sense that the shape of the hoof would change as the foal started to walk and run on the ground and the inverted cone would become broader at the base. Just imagine what happens when you reduce or cut off that stimulus! 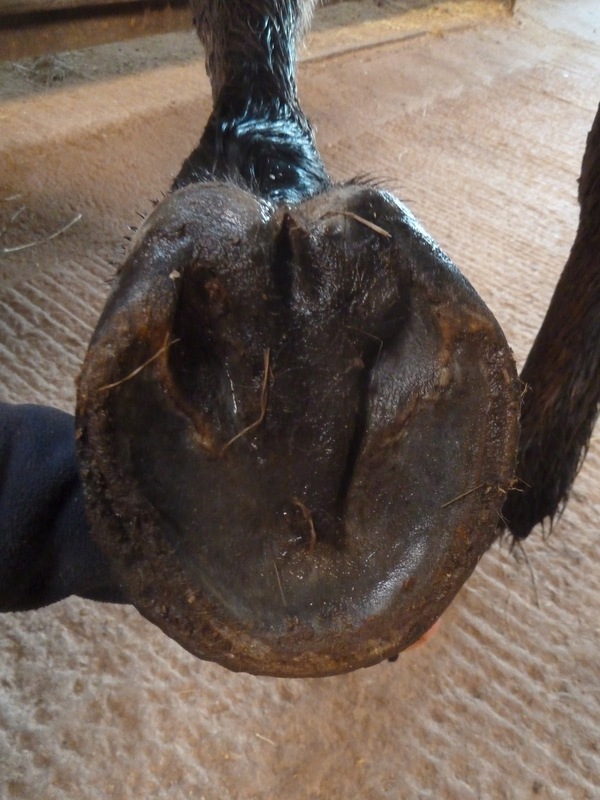 Its going to be fascinating to chart Bryher's hooves over the next few months and years!